Opioids are regularly prescribed to treat pain. But with prolonged use, your body can develop a dependence on opioids. When opioid dependence begins to interfere with your life and cause withdrawal symptoms, addiction occurs. Anyone can become addicted to opioids, as the opioid epidemic has clearly demonstrated. This dread disease has taken so many lives. The good news is that Sundance Methadone Treatment Center can provide an opiate detox Chicago residents can use to get well -- for good. Our addiction medicine clinic provides a variety of treatments to help heroin and opioid addicts overcome their addiction. We offer Chicago opiate detox programs to help patients safely stop use and ongoing maintenance treatment to manage withdrawal symptoms and cravings. With a medicine-based approach, we combat addiction and help patients transform their lives. Where Can I Receive Opioid Addiction Treatment Near Me? 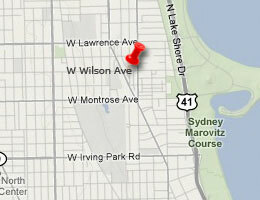 Located in Chicago, IL, Sundance Methadone Treatment Center is a methadone rehab center. We use proven methadone treatment programs to treat opioid addiction. Our compassionate medical staff is committed to your total recovery. Together, we'll address the issues that at the core of your addiction and educate you on your addiction while helping you take the steps you need to take back control of your life. How Do Methadone Treatment Programs Help? Methadone rehabilitation has been the most effective method for opioid addiction treatment for over 50 years. With a controlled daily dose of methadone, you can reduce the effect of withdrawal symptoms and gradually work your way toward recovery. Abstinence-only rehabilitation programs only have a 5% to 10% success rate because they don't treat addiction like the illness it is. Methadone blocks the pain receptors and opioid receptors of the brain, which keeps both withdrawal symptoms and cravings at bay. Through Sundance Methadone Treatment Center's methadone maintenance and methadone detoxification services, you can wean yourself off of opioids and heroin. Gradual detoxification is often more successful than sudden dose discontinuation. The U.S. is currently in the middle of an opioid overdose epidemic, but only 10% of Americans who suffer from opioid addiction seek treatment. It's important that you seek medical help for your addiction. Sundance Methadone Treatment Center can help. To learn more about our methadone treatment programs and other addiction services, contact Sundance Methadone Treatment Center today.